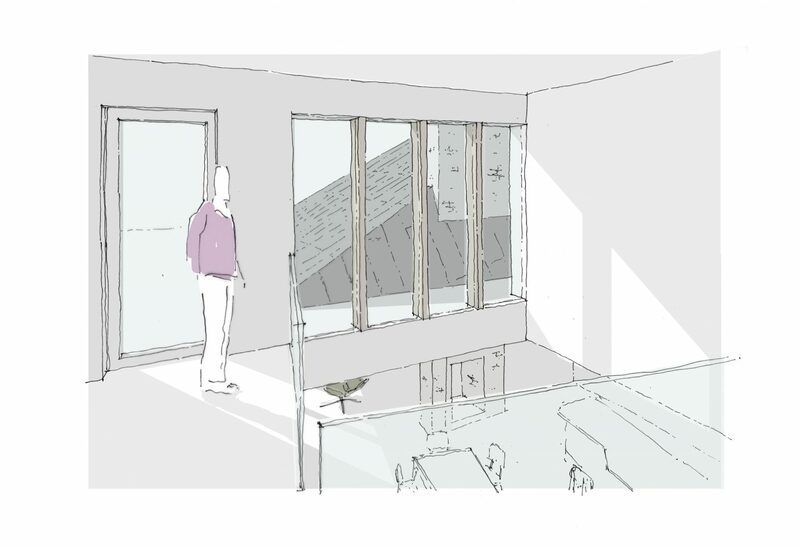 Devon Architects granted planning permission for new home in Torcross. The house is set back from the main road overlooking Slapton Ley in Devon. The first floor cantilevers out to create a carport and outdoor living room. 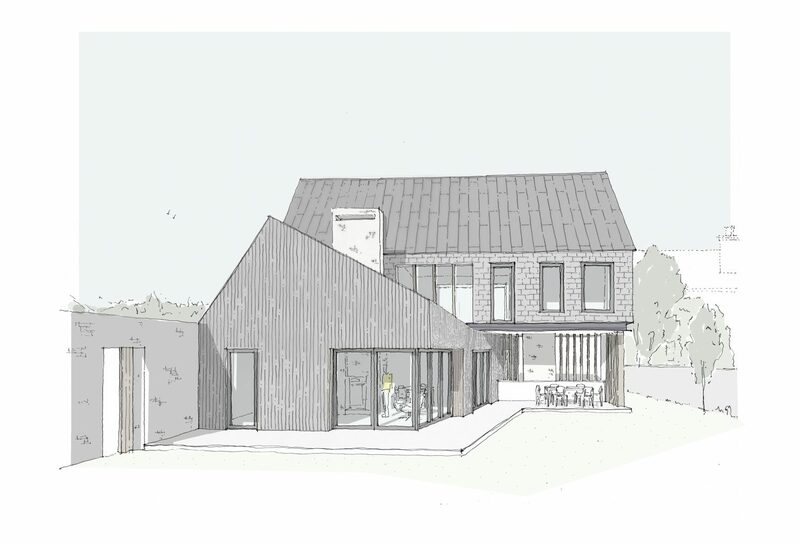 We are thrilled to have been granted planning permission for the construction of a stunning new house in Torcross, Devon. The house overlooks Slapton Ley and beyond towards the English Channel. The architectural design responds to the site through its layout and geometry. 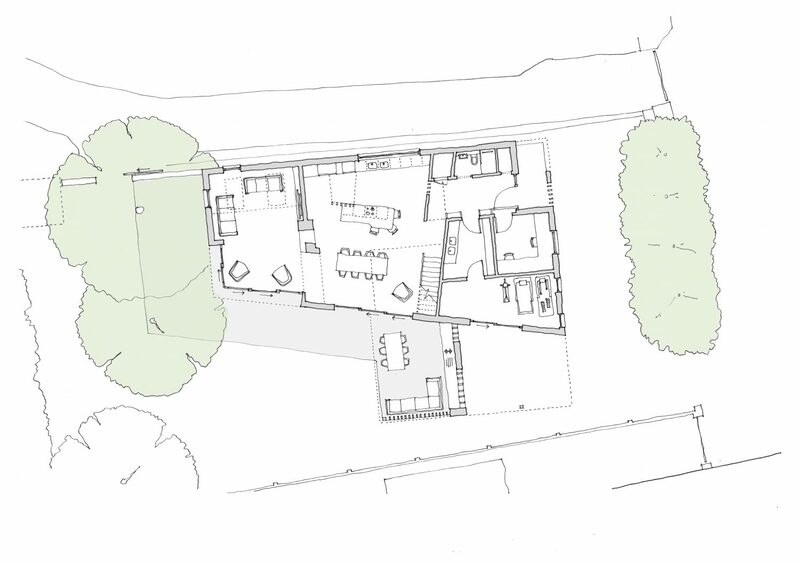 The floor plan creates privacy for the back garden and strong connections between inside and out. From the front the house is architecturally quite simple and unassuming designed to compliment the vernacular architecture of this small Devon village. To the rear the house becomes more playful really opening up to the garden and introducing a more contemporary palette of materials with vertical timber cladding and white bricks. Creative use of natural light and sculpting of space. 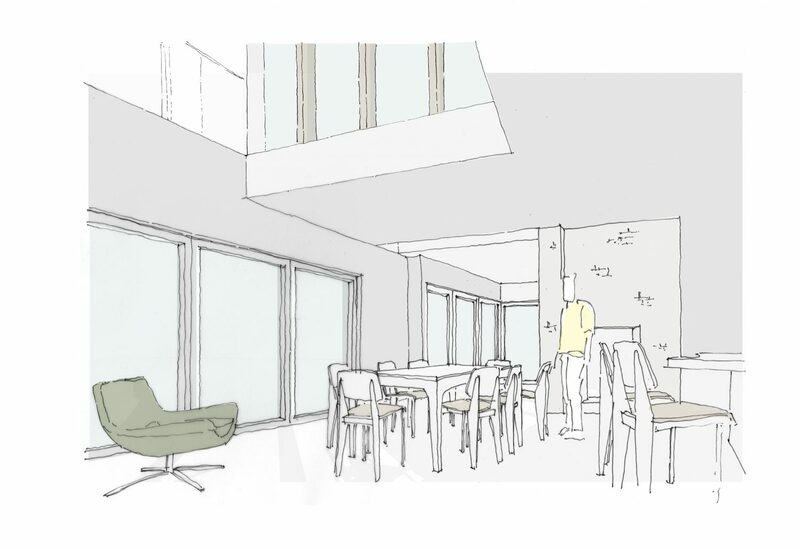 The external appearance of a building is always important to us as architects but sometimes we get just as excited about the use of space and light and creating dynamic internal layouts. This house is a great example of how the architectural qualities inside can be as dramatic as the form and appearance of the building. A combination of innovative light wells and galleries ensure that the building is flooded with natural light and has strong connections between ground and first floor. A first floor living room overlooks the ground floor kitchen and dining room through a large gallery and stair well. The first floor living room also takes maximum benefit from the views over Slapton Ley and the Devon sea beyond. An clever light well helps to bring light into the centre of the entrance hall through a void in the master bedroom. 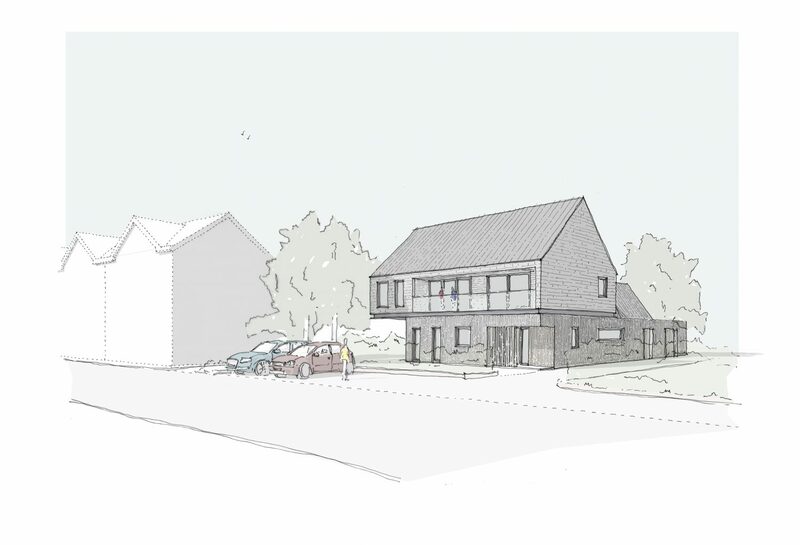 This project has been a great delight to work on for us as architects and we look forward to seeing it through construction and creating a stunning new home for our clients in Devon.